How can today’s CFOs accelerate growth in the face of an increasingly volatile global business environment? According to The Hackett Group, the answer lies in treasury management technology. 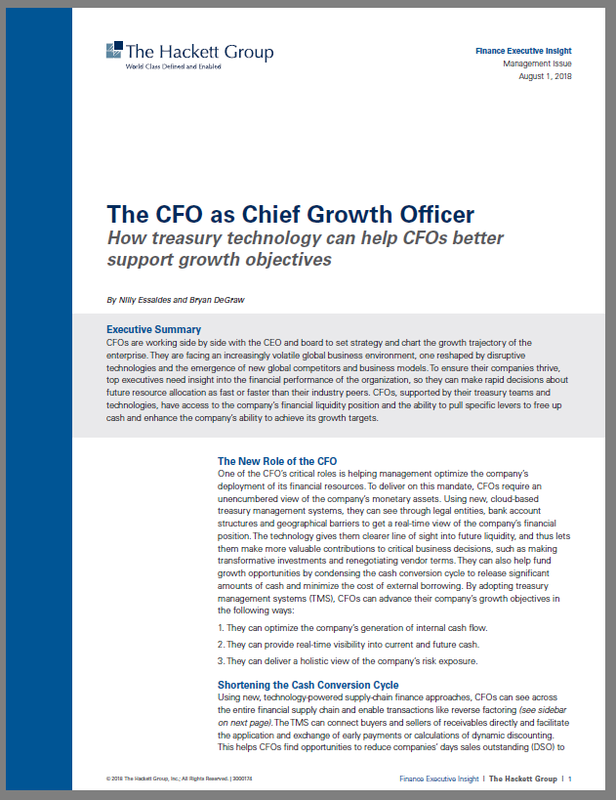 Download Hackett’s new white paper “The CFO as Chief Growth Officer” to find out how treasury management systems (TMS) are enabling CFOs to assume a more growth-oriented role in their organizations. Treasury management systems are quickly becoming a key piece of today’s modern financial technology stack. Find out why in this new Hackett Group white paper, sponsored by Kyriba.